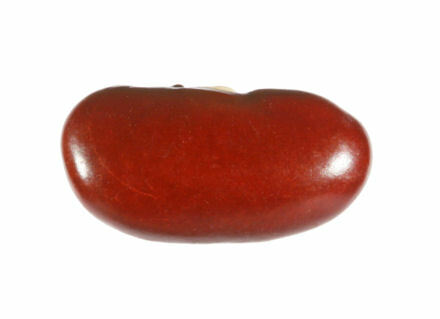 Kidney beans don’t get high blood pressure. Bill e Bob left a comment on my last post “PC absolution” saying “Enough of this techno-geekery, where is your devastating review of the rugby? I think in the words of our more aggressive football-supporting brethren, ‘Itâ€™s all gone quiet over there'”. Having reached the quarter finals in the Rugby World Cup Scotland met Argentina on Sunday. The great thing about being a Scotland rugby fan is that you are always living with a sense of hope. It does wonders for your faith! The first half wasn’t a particularly pretty game, from a Scotland point-of-view. About an hour into the game (rugby comprises of two halves of 40 minutes each) Argentina were ahead by 19-6. And then … from somewhere Scotland just shone. They were incredible! I’ve not seen that kind of exciting, dynamic rugby from Scotland for ages — it was a magnificent effort. In places they reminded me of The All Blacks (when they are playing really well, not — guttingly — being knocked out of the RWC). The forwards drove the ball, the backs used the full width of the pitch. I was literally on the edge of my sofa. And Dan Parks … well, his kicking tactics led to a charge-down and an Argentinian try (which arguably lost Scotland the match), but to give him his dues, during the last 20 minutes of the match I was his biggest fan. I’ve never seen him play so well, he almost couldn’t do anything wrong. He kicked the game of his life in that final quarter: accurately placing the ball exactly where he intended and the team needed him to. But crucially he didn’t just boot the ball up the park every time he got his hands on it, and that allowed the game to flow and demonstrate what Scotland are capable of. Frank Hadden (the Scotland coach) is a hero. This was always going to be a long week. 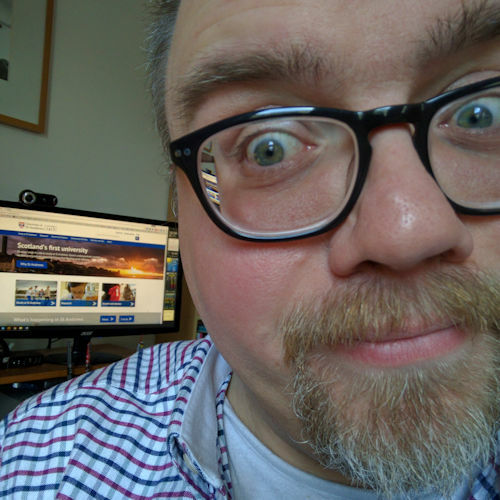 In order to leave work early today (Friday) in order to drive up to Inverness for Mark Strange’s ordination as bishop of Moray, Ross and Caithness I knew that I was going to have to put in the ‘overtime’ hours. Monday I stayed in the office until 19:00. When I got home I got a call from the Christian Fellowship of Healing (Scotland) asking about the progress on their website. The answer was, unfortunately: no very much. That’s what you need first thing on a Tuesday morning: a drive to Ninewells Hospital in Dundee for a 09:00 appointment. Disappointing news as we learn that Jane’s operation still hasn’t been arranged. In fact the doctor hadn’t even notified the department will carry out the procedure. That’s been two weeks. More unsettled waiting ahead. More tears. On my way home the police had closed off Church Street (my route home). There was a man standing on the roof of Holy Trinity Church, South Street. He was protesting in a Fathers For Justice stylee. All I could read of his banner was “Full custod…”. I assumed that it said “Full custodial sentence for me please”. As if one visit to Ninewells wasn’t nearly enough, I had my renal appointment on Wednesday afternoon. On one hand the doctor was pleased with my weight loss: I’ve lost over 2 stones so far this year, and my waist size has gone down from (an embarrasing) 44″ to 38″. On the other hand, my blood pressure is still too high — it was 141/101 at the clinic. So, I’m now resigned to have to go onto blood pressure tablets: perindopril — it’s an ACE inhibitor whose side-effects include reduced blood pressure. I sat there feeling rather dejected and a bit of a failure. I’ve worked hard on my weight-loss and was really hoping that it would also bring my BP under control. I returned to St Andrews and worked until 19:15, and let the news sink in. I walked to the biology car park, where I usually park, and then remembered that I hadn’t parked my car there today. I’d parked in the nearer car park at the Bute Medical School … so that it wouldn’t be quite as long a walk. It turned out to be an even longer one. But at least I could laugh about it: ha-ha ha-ha ha …. ha! I began the day with Morning Prayer at Holy Trinity Church, South Street, St Andrews, and caught up with the minister Rory McLeod, with whom I was at St Mary’s College (across the road from Holy Trinity!). Another productive day at the office. I’m currently working on improving the XHTML/CSS code for the main University website, so that it displays consistently in more browsers (particularly Firefox 1.x, Netscape 7 & 8 and Internet Explorer 5.5). With my earphones in my head, and my head in some code, I was listening to Dream Theater‘s latest album “Systematic Chaos” when there was a knock on the door. It was Chris from IT Helpdesk, and his brother, coming to see if I wanted to go see Dream Theater in concert in Glasgow — someone had just pulled out and they were about to leave. Actually, it would have been had it been next week. Instead I had to go home and see my parents-in-law, go out for a delicious meal and then come home and fix some code. I crawled into bed a little after 22:30. That’s the kind of rock ‘n’ roll lifestyle I lead! It feels like it’s been such a long week. We’ve had our ups and downs, but on the whole it’s been a really good, productive week. my Mum (Rosalie) who is attending an eye clinic in Edinburgh today for the her first (of many) monthly treatment for wet macular degeneration. This involves injecting a new drug directly into her eye. Jane — that she gets the date of her operation soon. Mark Strange — that God will bless him and through him will bless the United Diocese of Moray, Ross and Caithness. Oh, so that’s what you’ve been doing, fair enough. Thanks for the rugby review, although reading it I find it bit hard to tell if Scotland won or lost. Look forward to your balanced, unbiased report when England get wiped out by those pesky Frenchies.